Welcome to the third and final (at least for now) in my series of posts giving you a brief glimpse into the stories behind some of my designs. 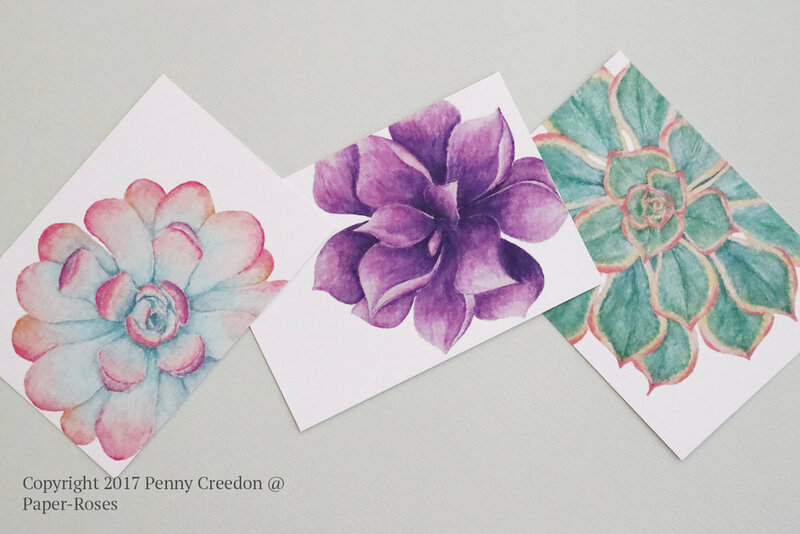 This story focuses on the Succulents note card collection - inspired by a visit to a flower show. If you missed the first post in the series about the Flying high collection you can read it here. And you can read about the Insects note card collection here. I’ve lived in Hong Kong for almost nine years now – and until this year I had absolutely no notion that there was a Hong Kong flower show. But one afternoon in March I was walking past Victoria Park and saw that it was full of people, plants and flowers. Now, the Hong Kong flower show isn’t Chelsea, but I have to say, I spent a very enjoyable few hours wandering through the displays and photographing the flowers. The orchids were absolutely amazing. Another thing that caught my eye was the great variety of succulents – so many different leaf shapes, sizes and colours. The displays really were quite stunning. And when I got home, I set straight to drawing. I wasn’t sure how I was going to use the illustrations to start with, but I loved them straight away – especially the vibrant, cheerful, summery colours. This is just a quick look at the story behind the designs for one of my collections - this and the other stories really do go to show that inspiration is something that can hit you as you're going about your daily life. All you have to do is look! Find the Succulents note card collection and my other designs in Paper-Roses' online store.